The presidential primaries came to New York this past week with Hillary Clinton and Donald Trump winning their respective parties, getting both closer to facing each other in the election this November. Trump was named the Republican winner shortly after the polls closed at 9:00 p.m. Clinton’s declaration came roughly a half hour later. Supporters of Bernie Sanders complained about inaccurate opening times and missing voter names at Brooklyn polling stations, causing the New York City Mayor and Comptroller to call for an investigation into the city’s Board of Elections. Primaries in Connecticut, Delaware, Maryland, Pennsylvania and Rhode Island on April 26th are next for the candidates. During the recent Mamaroneck Board of Election meeting, the Superintendent and Board approved the appointment of Jenny Rodriguez as the new Assistant Principal at Mamaroneck High School. Her term will begin July 1, 2016, when she will replace Dr. Michael Mercanti-Anthony. Mercanti-Anthony was named as the Interim Assistant Director of Special Education for the school district last month. Mamaroneck School District Superintendent, Dr. Robert Shaps said “We’re thrilled to welcome Ms. Rodriguez to the Mamaroneck schools family”. She spent the last seven years as the instructional leader and Assistant Principal at Washington Heights Expeditionary Learning School in New York City. The U.S. News & World Report recently conducted their annual ranking of the best American high schools. Rye Neck was ranked at number 31 in New York State and 174th in the country, while Mamaroneck came in at 47 in the state and 394th in the country. U.S. News & World Reported employed the help of social science research firm RTI International to amass its rankings. They measured schools with the use of four key metrics: math and reading proficiency for all students, testing proficiency for disadvantaged students, graduation rates and college readiness via Advanced Placement or International Baccalaureate test data. On this weeks round table discussion we had Anna Giordano, executive director of We Future Cycle come and give us a lesson on composting and to make us aware of different ways to preserve our environment. The Rye Neck Girls Lacrosse team played against Valhalla in a game this week where leads flip-flopped. With the game tied at 11, Panthers defender Allision Baal raced down the field and unleashed her bag of tricks in our Play of the Week. Our Pet of the Week is Delilah, an adorable Spaniel mix puppy. She is about 10 weeks old and weighs around 10 pounds. She is very sweet, friendly and social. For more information on Delilah and other pets just like her, please go to www.ny-petrescue.org. If you like our show, and want to keep us on the air, please check out our website, www.lmctv.org. We really appreciate any contribution. We’re always looking for new interns and volunteers, so send your emails to thelocallive@lmctv.org and join us. We love hearing from you! This past week, Donald Trump was declared the Missouri primary winner. Bernie Sanders won Wyoming, Ted Cruz won Wisconsin and Hillary Clinton continues to lead the polls in New York. The Local Live has been covering the political rallies that happened near our community. This week, Republican presidential candidate John Kasich was in New Rochelle. Local Live producers, Sheyla Navarro and Cat Galeano and reporter Jack Wells were at the Governor’s Town Hall to file a report. At the April 11th Village of Mamaroneck Board of Trustees meeting, Mayor Norman Rosenblum updated the community about the Army Corps of Engineers Flood Mitigation Plan. As previously reported, the $70 million dollar project, which began in 2009, wants to help prevent flooding around the areas that are close to the Mamaroneck and Sheldrake Rivers. In order for the project to be in effect, it needs to be consistent with the Local Waterfront Rehabilitation Program or LWRP. The document consists of 44 policies, which aim to promote a balance between economic development and preservation of the Village of Mamaroneck coastal resources. After the Harbor Coastal Zone Management Commission suggested that the Army Corps Project is inconsistent with many policies of the LWRP. In a March 28th public forum regarding the issue, residents spoke for over 3 hours about their support and concerns toward the project. The Harbor Coastal Zone Management Commission of HCZMC is not the only one that has a consistency vote on the Army Corps Plan. The Department of State, or DOS, and the Village of Mamaroneck must also vote. Mayor Rosenblum stated that the Department of State did not find the flooding plan inconsistent with the LWRP, and requested more information in order to make a decision. After additional information is provided to the Department of State, the Army Corps of Engineers will need to submit a formal consistency determination. As of yet, the requested additional information has not been sent. Following the comments from residents, the Board unanimously passed a resolution to write a letter of support to the Department of State. The letter requests the DOS to inform the Village and the HCZM Commission of their decision. Mamaroneck High School Boys Lacrosse Team faced off against rival Lakeland/Panas. Junior goalie Jack Dente made two quick saves to keep the score tied early in the game and made our Play of the Week with his efforts. Our Pet of the Week is Mystery, an adorable and playful puppy. She loves her foster home, plays well with all the other dogs and is learning her manners. She is about 11 weeks old and weighs about 13 pounds. This little princess is super smart, eager to learn and loves to fall asleep in your lap. For more information on Mystery, as well as other pets, please visit http://www.ny-petrescue.org. If you like our show and want to keep us on the air, please support us by checking out website, www.lmctv.org. We really appreciate any contribution. We always looking for new interns and volunteers, so please send your emails to thelocallive@lmctv.org and join us. We love hearing from you. A presidential primary was held this week in Wisconsin with Republican candidate Ted Cruz and Democrat candidate Bernie Sanders taking the lead. The next primary will be held in New York. The candidates held rallies all over the state. Donald Trump was on Long Island, Ted Cruz and Bernie Sanders were in the Bronx and John Kasich and Hillary Clinton were in Westchester. The Local Live reported on the different rallies in our area in what was to be a first for our news show. Hillary Clinton reached out to New Yorkers in an effort to gain their votes as Primary Day approaches. Producers Cat Galeano and Abriel St. Ange were there to file a full report from The Purchase rally. As Hillary Clinton’s rally at SUNY-Purchase rally came to a close, Bernie Sanders’ rally in the South Bronx was just getting underway. Producer Sheyla Navarro and Dena Schumacher were there to cover the event. This Saturday, Republican candidate John Kasich will be at Iona College. Our cameras and producers will be there to bring you all the proceedings. Coverage will be shown on next week’s show. On Monday, former Village of Larchmont trustee, Lorraine Walsh was officially sworn in as the new mayor. Walsh and her Democratic team of trustees, Peter Fanelli and Carol Miller, ran unopposed. The Administration of Oaths was carried out by Justices Thea Beaver and Jerry Bernstein. Also in attendance for the Swearing-in-Ceremony were public officials from the Town of Mamaroneck and Senator George Latimer to express their congratulations. Lorraine Walsh stated that she will name a new deputy mayor soon. 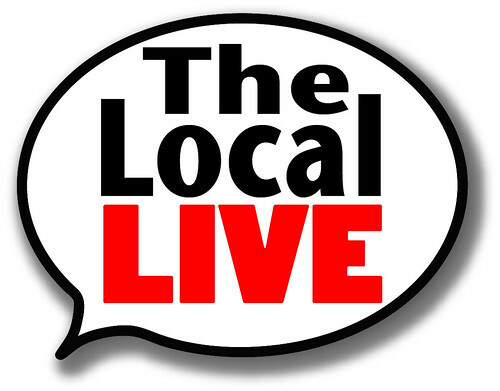 The Local Live will interview the new mayor of Larchmont on April 28th in our Round Table discussion. Also on Monday, there was a fire in the 6th floor laundry room of the Regatta apartment complex on Mamaroneck Avenue. According to Village of Mamaroneck Chief Craig Casterella, the fire was caused by a buildup of lint in between the 5th and 6th floor shaft which caused the fire to spread to the roof. There was concern for the residents who didn’t evacuate quickly enough. Thankfully, there were no reported injuries and everyone was evacuated safely to the Village conference room. Due to the fire, all of the laundry rooms at the Regatta are unavailable until further notice. In our Round Table discussion, Mike Witsch spoke with Sally Maca and Lisa Boillot,Co-Chairs of the Grow It Green Expo and event keynote speaker Kim Eirman regarding the Grow It Green Expo which will be held this Sunday at Larchmont Temple. The new multi-space meters are now on Mamaroneck Avenue and nearby parking lots. Our Pet of the Week is an adorable one-year-old Lab Mix named Scout. He is very sweet, friendly and always full of energy. He is ready for some never-ending fun, but he still needs some help with his manners and is not compatible with felines or small dogs. He is not only beautiful, but loving and can’t wait to have a loving forever home. If you want to adopt him, check out the website, www.ny-petrescue.org for information on Scout as well as other pets. If you like our show and want to keep us on the air, please support our program by checking out our website, www.lmctv.org. We really appreciate any contribution. Democratic candidates Hillary Clinton and Bernie Sanders came to our general area. Former Secretary of State, Hillary Clinton made a visit to SUNY-Purchase, while Vermont Senator, Bernie Sanders spoke at St. Mary’s Park in the Bronx. Local Live reporters Cat Galeano and Sheyla Navarro were there to report on the events. We will more on both events next week. At the latest Village of Mamaroneck Board of Trustees meeting, more than twenty Mamaroneck residents voiced their opinions and concerns to the Village Court about resolutions to the flooding issue in our area. The discussion lasted for over three hours. Resident reactions flared regarding The Harbor Coastal Zone Management Commission’s recommendation to the Department of State. The Commission suggested that the $70 million dollar Army Corps of Engineers Flood Mitigation Plan is inconsistent with our Local Waterfront Rehabilitation Program, also known as LWRP. They claimed that the plan is inconsistent with several policies. What exactly is the LWRP and what effect does it have on the Army Corps Project? The LWRP is a document that was originally adopted in 1984. It consists of 44 policies which aim to promote a balance between economic development and preservation of our coastal resources. If the New York Department of State finds inconsistencies with our local LWRP, the Army Corps of Engineers flood mitigation plan will not move forward. Following the comments from the public, Mayor Norman Rosenblum and the Board decided that they require more information in order to make a decision on what will most benefit the community. Village Manager, Richard Slingerland told the Local Live that the project’s study stage has cost the Village about $8.3 million dollars. At the same meeting, the Village of Mamaroneck Board of Trustees discussed the Village annual budget for 2016-17, which was released on March 18th. Village Manager, Richard Slingerland stated that Village spending has increased by 2.7%. If the budget passes, Village residents could expect a slight property tax increase of 0.3%. At this time, the decision is still under revision. We will continue to follow this story and will report any developments. Residents of the Carlton House Apartment Complex in Larchmont reported that shots were fired this past Tuesday night. The Town of Mamaroneck Police responded to 911 calls from several residents who heard the gunfire. One family had a stray bullet come through the siding outside of their house, went through the sheetrock and landed in a glass liquor cabinet. The homeowner who did not want to be identified, stated that they were very scared. No injuries were reported. At this time, the police do not know who or what was being targeted. The police also found a parked purple Lexus convertible with several bullet holes. The police have been patrolling the Apartment complex on North Chatsworth in an effort to calm the residents and to look for suspects. In our Round Table discussion, Maura Carlin spoke with Christie Derrico, Village of Mamaroneck Justice, Chris Saphire, New Gen Cafe Manager and Nancy Silberkleit, Co-CEO of Archie Comics about the role of women in today’s society and whether to choose home or career in honor of Women’s History Month. Last week, more than 350 high school students, counselors and youth-workers, including several from our community, took part in Prideworks, an all-day conference for Lesbian, Gay, Bisexual and Transgender (LGBT) youth and their allies. The Local Live was there to file a report. We are hoping to have some of the recipients on a future Round Table discussion. Amanda is a beautiful cat who was rescued from the streets by a pet rescue volunteer. She was shy at first but has gained more confidence to come out of her shell, thanks to lots of love. She is friendly and loves to be petted. She is ready for her forever home. For more information on Amanda as well as other pets, visit the website, www.ny-petrescue.com. If you like our show and want to keep us on the air, please support our program by checking out our website at www.lmctv.org. We really appreciate any contribution. We’re always looking for new interns and volunteers, so please send your emails to thelocallive@lmctv.org. and join us.